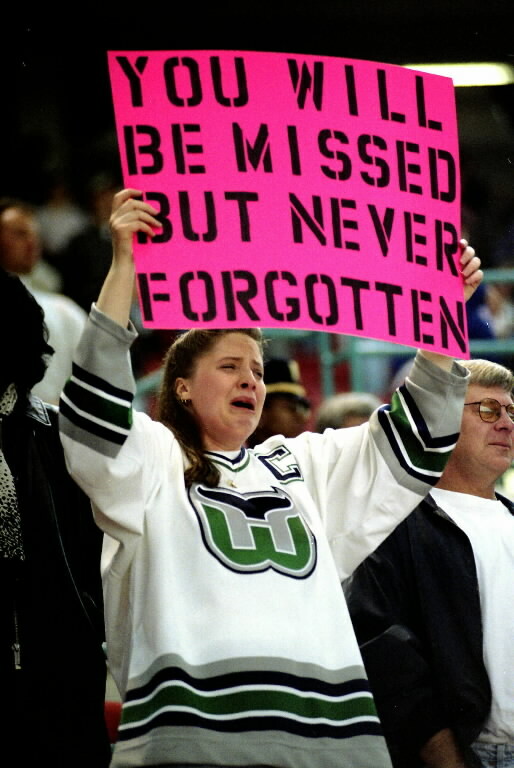 16 years to the day that Connecticut sports suffered its greatest tragedy, the death of the Hartford Whalers, Connecticut hockey fans finally had their redemption. It was a day of pride in Pittsburgh when the championship for College hockey came down to two Connecticut teams, the Quinnipiac Bobcats and the Yale Bulldogs. The Battle of Whitney Avenue was taking place in front of an entire nation who had no idea of the emotional state of the Constitution State. Sure we have the Uconn basketball teams but our greatest pride was our only pro franchise the Hartford Whalers, who were ripped from a passionate fan base that has never fully recovered. Connecticut hockey entered a dark age as it fell into the shadows of New York and Boston hockey for 16 long agonizing years. While the Whalers may never return, without question 2013 was a landmark year for Connecticut hockey. 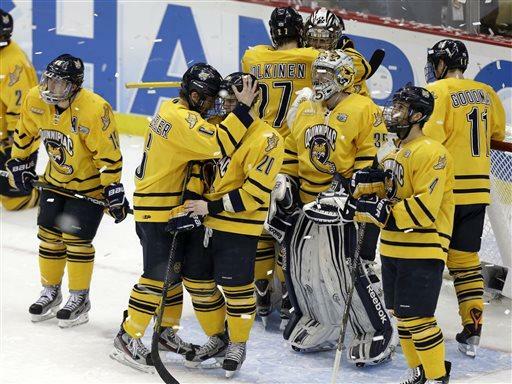 The Quinnipiac Bobcats became the number one team in the nation and put Connecticut college hockey back on the map. By the end of the Frozen Four tournament the two teams who remained were both from Connecticut. Forget Boston or Minnesota, Connecticut is now becoming the home for college hockey. You had the premier team in the land the, Quinnipiac Bobcats versus the sixteenth seeded cinderella team of the tournament, the Yale Bulldogs. Whoever won would bring the first national championship to the state and would bring a new dimension to arguably the best in state rivalry that no one could have dreamed about. As a hockey fan I thought it be incredibly if either team just made it to the Frozen Four but both teams squaring off in the finals? Talk about wildest dream scenario. The game itself was terrific with both teams playing their best hockey of the season but in the end Yale was able to pull off the upset with a 4-0 win. Yale became the lowest seed to ever when the tournament and only the fifth team to record a shutout victory over arguable the best team in the nation. team played in the Coliseum, Yale has made New Haven the capital for college hockey. While this year was exciting whats even more exciting is the future these programs have. With the national exposure and now one of the best rivalries in college sports I truly believe that these programs best days are still ahead of them. Back in 2005 when Quinnipiac and Yale first faced off in the ECAC no 0ne could have imagined it would have led to this. Whether or a Bobcat or Bulldog fan you still have to be proud of Connecticut for what they have done to put our state on the map this season. While the Whalers have left a hole that will never be truly replaced, Yale and Quinnipiac have made hockey fans proud and given our great state some of the best college hockey. Even during the game the sound of the brass bonanza rang loud and proud from both bands and became the fight song for Connecticut once again. Finally after 16 long years the hockey gods are once again smiling over Connecticut and I have a promise for all Connecticut hockey fans. This is not an ending, this is just the beginning. Thank you Quinnipiac and Yale for the amazing ride this year and the even brighter future that lies ahead.